Social media continues to proliferate. This article presents a qualitative analysis of twelve cases of social-media-based knowledge sharing. The analysis reveals six categories of knowledge sharing in the social context. The analysis indicates that personalization of the organization entities and socialization of the participation on social media for knowledge sharing are two key success factors. 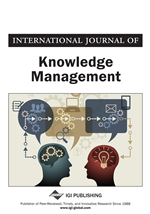 The findings suggest that the social dimension, which has been absent from the traditional knowledge management models, broadens the scope of sustainable knowledge sharing practices in the digital society. To identify cases of social-media-based knowledge sharing, a literature review was conducted. The tools used for the literature review were the ABI/INFORM Global database and the Google search engine on the Internet. The keywords used for the search included “social media”, “social network”, “social media knowledge sharing case”, “social media knowledge management case”, “social media case”, “social media knowledge”, and “social network knowledge.” The ABI/INFORM database covers the major academic journals in the areas of social media, business, knowledge management, information systems, information technology, and social sciences. The Google search engine is powerful to reach the relevant web sites. Thus, the case collection for this study was considered sufficiently comprehensive. Surprisingly, the number of case studies of social-media-based knowledge sharing in the literature is relatively lower than what we expected, although social media have been used widely for a long time. Some papers mentioned case study of social-media-based systems, but the contents of knowledge sharing were light and not sufficient for qualitative data analysis. Subsequently, twelve (12) cases were found, and are summarized below. In order for businesses to gain more from knowledge management through social media (that directly results in better operational results companywide), more emphasis should be given in defining a structure in such social media sites. A blend should be made of computer based sociality and computer based structure. Employees working on a certain problem should have the access and flexibility to inquire (post) about the issues in an online discussion on that topic. Similarly, other employees will share and benefit from each other’s queries and knowledge.